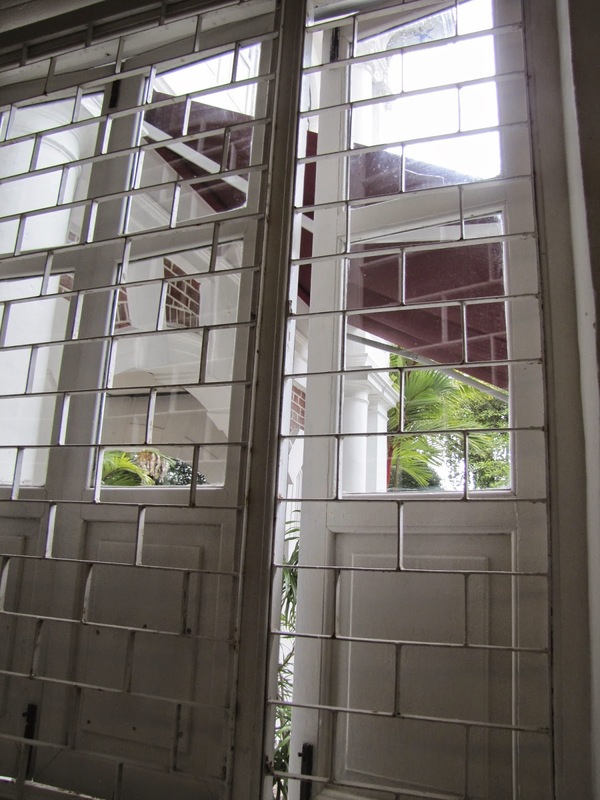 The building is a mix of styles, colonial, chinese and thai, with red brickwork and white plaster, known as blood and bandages. It also has a tower supposedly to depict a Thai stupor, a touch towards Tan Boo Liats friendship with the king of Siam (Thailand) Known as the Golden Bell mansion after Tan Boo Liats grandfather Tan Kim Ching whose name translates as golden bell. 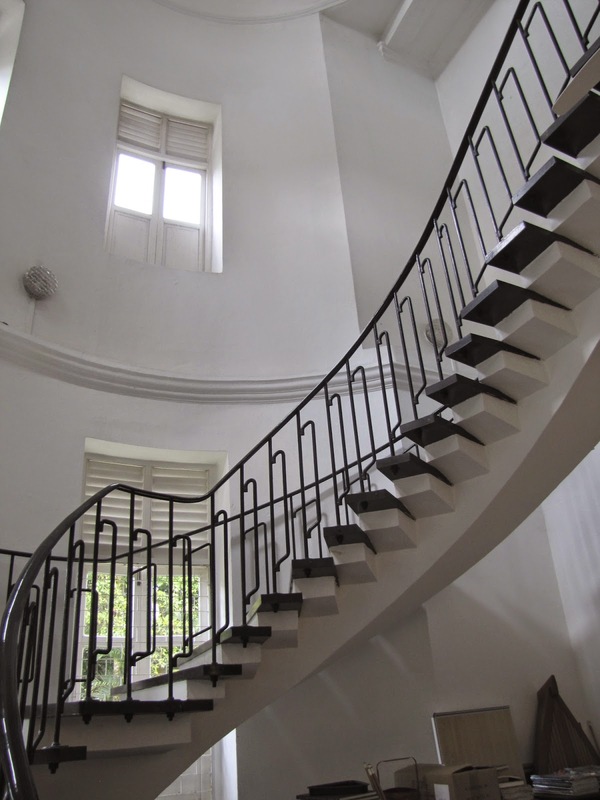 The building is found on what was known as Mount Washington but now a part of Mount Faber. It had 2 bedrooms, a billiard room, smoking room and a dining room. Tan Boo Liat 1875-1934 was also the grandson of Tan Tock Seng. http://en.m.wikipedia.org/wiki/Tan_Tock_Seng Tan Boo Liat was friends with the king of Siam and was even given an honorary royal title by him of Phra Anakul Sayamkitch in 1920. He was also a passionate follower and president of the Chinese revolutionary political party Kuomintang. 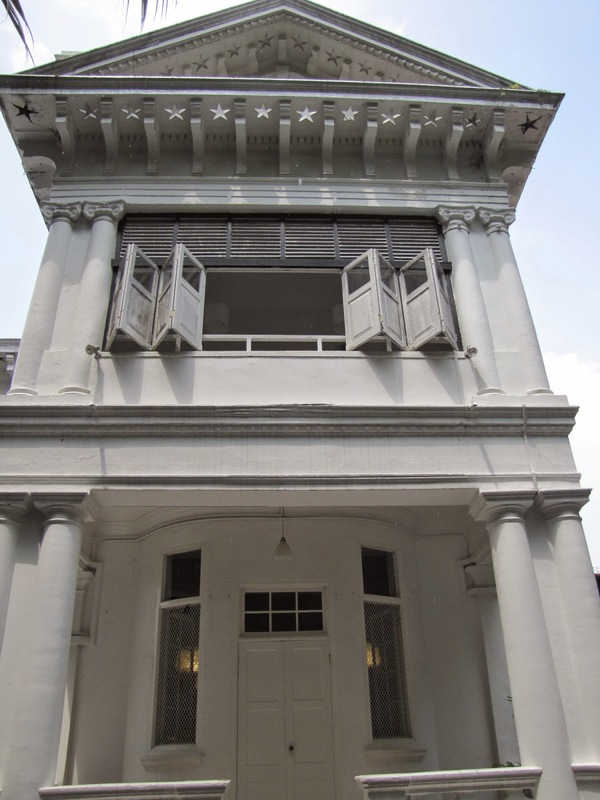 The founder of this party Dr Sun Yat Sen stayed at the mansion on 15 Dec 1911 and then his wife and children also in Feb of the following year. Today it's is home to the Danish Seamans church Singapore and the Danish Seamans mission. Founded in 1984 this is a non profit making organization. A base for traveling Danes, giving support both practical and spiritual. Originally for seaman but now for any Danes abroad. There is a large close knit Danish community in Singapore with another 53 Danish missions across the world. What was once the dining room is now home to the church and in the next room is housed a large Danish library. The female priest lived upstairs but the roof leaked dramatically. The government sourced and had it repaired recently, but the day before we visited it had rained heavily and water again poured in through the ceiling and down the walls into the church. Clearly the repairs had not worked!